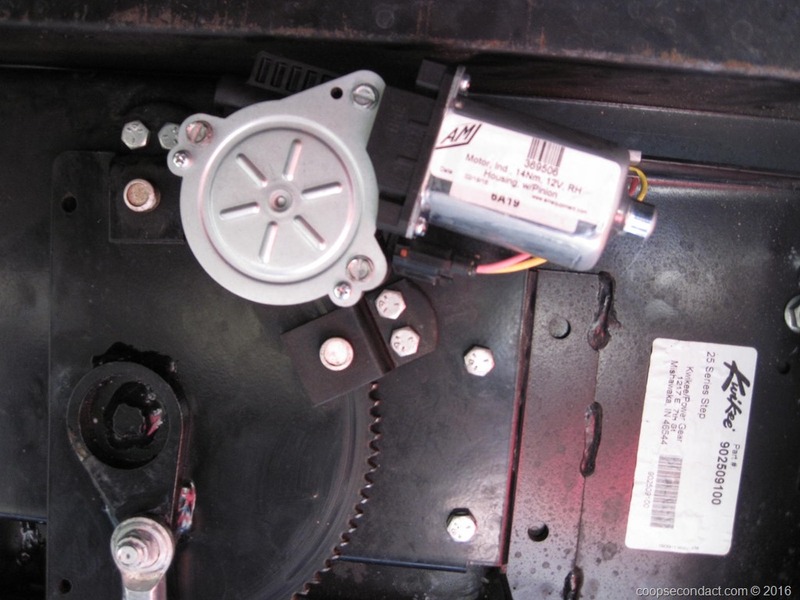 The steps on our RV are operated by an electric motor that turns a semi-circular shaped metal plate. That plate has a has an arm attached to it that causes the steps to extend and retract. The motor works on the principal that it will continue to run until it meets a certain amount of resistance and then it will stop. So, for example, if you open the door when you are parked near a curb, the steps will extend until they bump into the curb then the motor will stop. In the recent past, there have been occasions when the steps did not fully retract. After some research I concluded that one possible remedy was to lubricate the moving parts on the steps. If all of the moving parts of the steps are not moving freely they could present enough resistance to cause the motor to stop before fully retracting. I had some success with this for a while but eventually additional lubrication did not help to fully retract the steps. In addition, more recently, when extending, the steps had moved unevenly and with a sort of jerky motion. I contacted the manufacturer and told them my circumstances. They said that if the motor was getting sufficient power, i.e. 12 volts, then the likely explanation was that the motor needed to be replaced, perhaps the teeth on the drive portion of the motor were failing. So I ordered a new motor and had it shipped to our next destination. When we had a day with some down time, I replaced the motor with the new one. Once complete, the steps moved much more smoothly, both extending and retracting and they fully retracted. Looking at the old motor, it was clear the the teeth were substantially worn which would explain why the steps were not working as expected. 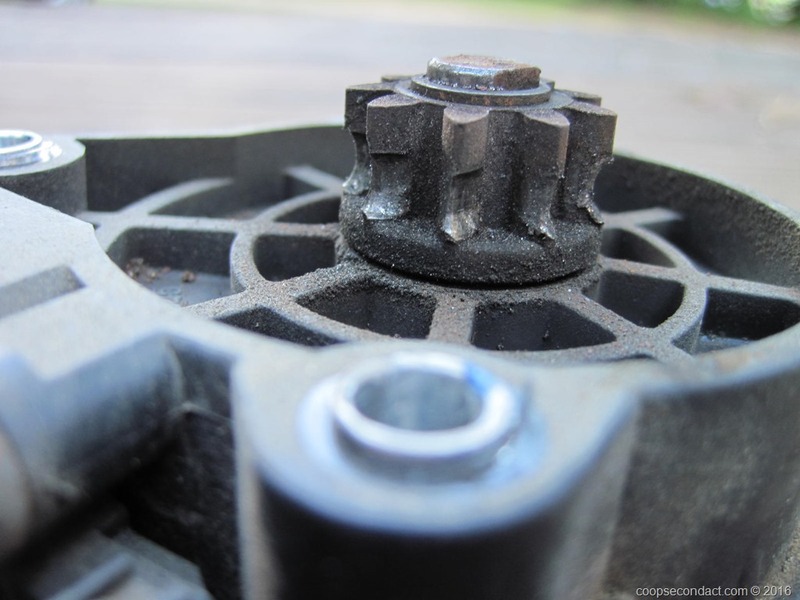 In addition, the teeth on the new motor are fairly thin so I can see that the motor will probably need to be replaced again in the next 2 or 3 years. Not an ideal design. At least I’ll know what to do.